After a new era of statewide leadership was sworn into office this week, legislators unveiled their priorities and brought forth the first set of bills. Gov. Tim Walz took the oath of office on Monday and began his quest to create his vision for “One Minnesota.” Lt. Governor Peggy Flanagan became the highest ranking elected Native American in the country. Keith Ellison was sworn in as our new Attorney General and Julie Blaha became the new State Auditor. Steve Simon is the only returning statewide office holder in his role as Secretary of State. Four new faces in key roles are sure to bring new direction for the state. While the House and Senate both brought forward ideas in similar areas such as early childhood education and school safety, the direction each body took is a different path and a different focus. The House DFL wants to spend a significant amount of new money on child care assistance and early learning programs. The Senate GOP wants to tackle child care regulations and create grant options to build child care capacity. 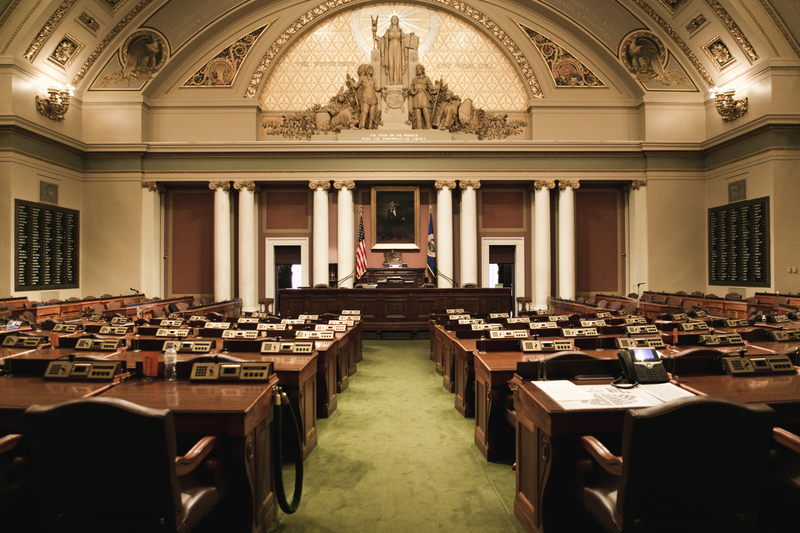 Minnesota is the only state in the nation that has a divided legislature and it clearly shows with the initial volley of new legislation. One area of agreement is around spending significant new money on expanding rural broadband access. Majority members in both bodies introduced legislation to spend $70 million on rural broadband access grants. Committees in both bodies in the next week will conduct overview and ‘meet and greet’ hearings. These hearings are designed to get new members up to speed on their relative subject matter and to introduce interest groups to them. MREA will presenting at several hearings this week. Here’s a closer look at the significant education related bills introduced by majority members in the House and Senate last week. For schools, the big news is the increase in the capped number of Voluntary Pre-K (VPK) participants from 6,160 to 7,160 and making the funding ongoing. This should mean that schools that got in the School Readiness Plus program under VPK rules will continue to receive funding beyond June 30. $35 million for broadband grants in ’20 and ’21. This bill indexes SSR to 10 percent of the formula—up from $544, raises the sweet spot of the formula to 750 Adjusted Pupil Units (APU) and extends funding to districts under 1,500 APUs. What is significant is the second author, Julie Sandtede is the DFL Vice Chair of the House Education Finance Committee. This is a clear sign that the support for increasing support for small schools is bi-partisan among rural legislators. This is very close to what was in the vetoed omnibus bill last year, but leaves unstated the amount of the increases in aid per pupil. It does add aid (again an undetermined amount) for cooperatives which serve students that are not intermediate districts. $2 million in grants for reimbursement grants to public school districts that contract for audits of the physical security of public school campuses. This bill is similar to what was in the vetoed omnibus bill requiring school districts to provide certain access to career options in the military, skilled trades, and manufacturing.